We are experts in running email-based, pre-paid voucher promotions. 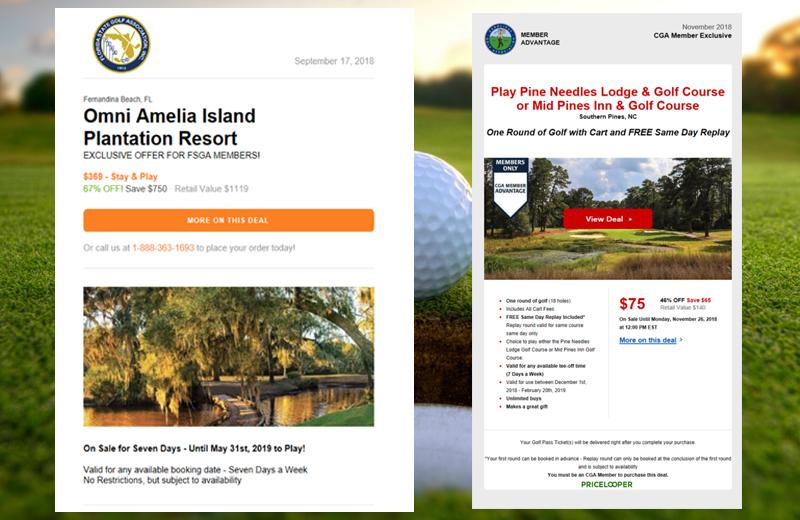 Similar to our Customer Email Promotions solution, our PriceLooper Member Benefit Program is an email marketing solution where we feature enticing pre-paid golf-only and stay & play offers. The primary difference: with PriceLooper MBP we target our partners’ existing database of members and feature compelling offers we know will sell. We work with golf associations to recruit respected, high revenue-yielding property partners. Once the partner is confirmed, we manage 100% of the campaign – from email delivery to managing all of the financials, directly through our proprietary, online PriceLooper platform. 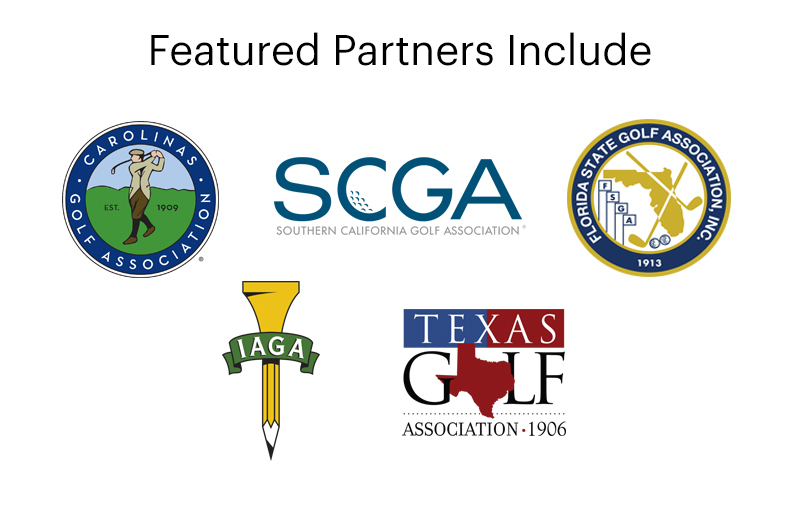 To start out, we collaborate with our partners – the golf associations and the participating golf courses/resorts – to establish campaigns and offers that will entice the membership to purchase. The marketing overtly conveys “exclusive member benefit.” Successful campaigns unquestionably are perceived by membership as a true benefit which creates deeper loyalty with existing members while also helping to market to new prospects. Once the campaign structure and particulars are established, our graphic designers and project managers go to work building on-brand email templates, landing pages and voucher art. Customers purchase vouchers through our platform and redeem directly with the property. They then go on to enjoy their stay and/or play experience, and the property gains revenue and fuels their ongoing goal of generating repeat business. And as we all know: the better their experience on property, the deeper the loyalty that is created between customer & course. Top-line revenue (total vouchers sales) are split 80/10/10, with 80% going to the golf course, 10% to the association, and 10% to UnderPar. There is no upfront fee to stage a PriceLooper promotion. We provide program marketing materials to the association to use in the recruitment of partner properties. As needed, we will participate in course recruitment calls and discovery meetings. The promotion branding is 100% driven by – and approved by – the property and the golf association. We work with our partners to build the smartest campaign that will not only drive revenue but will also elevate their brands. Our web-based redemption portal is easy-to-use and takes the stress out of managing voucher redemption for the properties. This promotion drives revenue for all parties as well as expanding respective marketing footprints. If a promotion turns out to be a resounding success, we work with all parties to schedule future promotions.